Here’s a great way to save at Bath and Body Works. 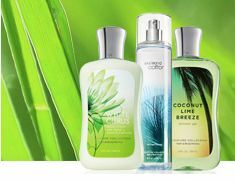 Save 20% by using either this printable coupon in store or the coupon code: BBWPARADISE at checkout online! Pair this 20% off Coupon with one of the the B3G2 offers to save even more! Get 5 of your favorite Signature Collection items for under $35 including Shipping! Check out more Printable Coupons!